Created in 1295, in recent history this seat has had 25 years of Conservative representation followed by 13 years of Labour before choosing to elect two Liberal Democrats in succession since 2005. 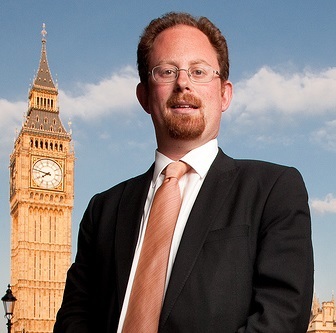 The incumbent MP is Liberal Democrat Julian Huppert. I came to Cambridge when I was three months old, going to school and university here, eventually working as a research scientist, working on DNA structures and identifying new targets for anti-cancer drugs. I also set up my own small biotech company, which won a government award for innovation, and became an ambulance technician with St John Ambulance. I was elected as a County Councillor in Cambridge in 2001, representing East Chesterton. I served as Lib Dem Group Leader and Chair of the Cambridge Traffic Management Committee. In 2010, I became the MP for Cambridge. My priority in Parliament has been to put Cambridge first. I stood up for local NHS services and our schools, securing more money for both. I’ve been a strong, independent voice for Cambridge, opposing the Government when it got things wrong like increasing tuition fees and on NHS reforms. Being an MP is about representing constituents in Parliament. As the MP for Cambridge, I kept in touch with constituents in a number of ways. I held surgeries and attended events and meetings across the city regularly. I kept in touch via casework – over the past five years I dealt with around 32,000 cases. I am also an avid user of social media, including Twitter, keeping in two-way contact with constituents that way. I have also written to constituents over important issues, like military intervention in Syria, to hear their views before voting. I will continue to work really hard to keep in touch with constituents if I am re-elected. I have a track-record of delivering for Cambridge, my home. I stood up for local NHS services and pressed the Government for more money. I was delighted when we received over £20m extra in Cambridgeshire. I also campaigned to get more money for our schools, securing an extra £23.2 million a year for them, as well as an extra £29 million for new school buildings. These are welcome sums, but there is far more to do – we are still well below the national average for both of these. I want to be re-elected to get fair funding for our schools and hospitals. I also helped secure crucial funds (up to £1bn) for our City Deal to improve transport and housing. 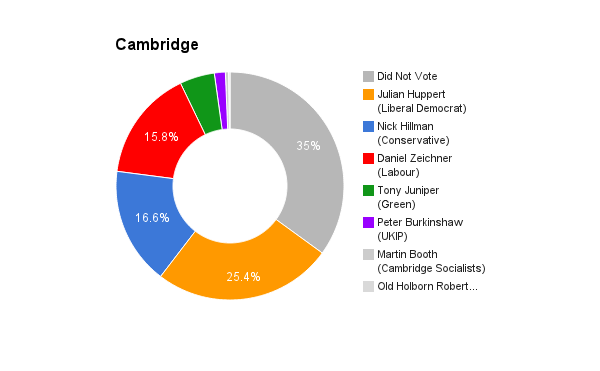 I’ve been a strong, independent voice for Cambridge in Parliament. I’ve opposed the government when it got things wrong. I voted against rising tuition fees, against Lansley’s NHS reforms, and against military intervention in Syria and Iraq. At the end of five years, I have far more experience that I had when I started off, and have consequentially been much more able to achieve things than I was at first. If I had the experience and skills then I have now, I could have been more effective in the first few years. When we took over in 2010, the state of our country’s finances was in disrepair. Whether you blame that on the Labour government or the international situation, the fact remains that of every 4 pounds the government was spending, one was being borrowed – a situation that simply could not continue. Despite these pressures, and the savings that had to be made, we’ve insisted on protecting budgets in important areas like education – as well as securing our £2.5bn pupil premium for disadvantaged students – and increased spending in areas like the NHS, with an emphasis on pushing mental health up the agenda. We need to continue this good work to secure a better future. Government savings should be pragmatic, not ideological. In the next Parliament, I want to see more investment in education, including our schools. For example, I am campaigning to cancel VAT payments for sixth form colleges. I also want more investment in our NHS (my party is the only that has committed £8bn extra per year by 2020 and said how we will pay for it) and better care. I entirely disagree with the Tory approach of £12 billion welfare savings and a continually reducing state. I am alarmed by the statement from Labour’s Rachel Reeves that Labour would be tougher than the Tories on benefits. I am very worried that in today’s political climate, many parties are latching onto rhetoric which scapegoats migrants instead of acknowledging the massive benefits immigration brings to our country. The fact is that immigration has benefited the UK. We are richer, culturally and economically, as a result of those who migrate to our country. It is disappointing my party seems to be one of the only ones willing to stand up for migrants’ rights. Not for us the Tory chase for the UKIP vote or Labour’s mugs boasting how they will control migration, described by Dianne Abbot as ‘Shameful’ and ‘Embarrassing’. We do of course need to have proper transparency and accountability in the system. Border checks are a good way of allowing us to know who comes in and out of the country, enabling sensible policy making. In 2010, 57% of exit checks were in place; it is now about 97%. We need to get this up to 100%. In 2010, we inherited a broken economy. We’ve down well to turn the economy around and bring unemployment down, and we now need to continue building a better future for everyone. I’m passionate about doing more to help people on low incomes. As the MP, I championed the Living Wage. I want to create a snowball effect so that businesses see that it not only benefits employees but is also good for the business. We can also help by raising the income tax threshold further. We’ve pushed it up to £10,600, taking over 4,500 people in Cambridge out of paying income tax altogether. But we should change the law so no-one on the minimum wage pays income tax at all. To ease rent prices, which are indefensibly high, we need more housing. We are building up to 33,000 new homes locally, which I pushed for. I’ve also proposed a Bill in Parliament to help people in the private rented sector, and when we ran the City Council we started a scheme to build 2,000 council houses. With rising demand, the NHS needs more money. Simon Stevens, the Chief Executive of NHS England, has said the NHS needs an extra £8bn per year as a minimum by 2020. My party has laid out a detailed plan for how we would release those extra funds. Neither Labour nor the Tories have matched our commitments; Labour won’t provide the money, the Tories can’t say how they’d pay for it. I also want the NHS run by public bodies, not for profit. The evidence shows the public sector delivers much better services than private bodies. I am really pleased the £800m older people’s contract in Cambridgeshire was awarded to the NHS body, which I pushed for. This is in stark contrast to Labour’s £1bn privatisation of Hinchingbrooke hospital, which has been so problematic. We also have to have a much greater priority for mental health – it has always been neglected compared to physical health. We’ve secured more money for it – £1.25 billion in the last budget – and legislated for parity of esteem. I am pleased Cambridge has a very low level of unemployment, in particular youth unemployment. Since 2010, unemployment has come down by over 50%. But we need to do more to expand opportunities to everyone, including those who have little or no experience in work. Nationally, we’ve created 2m apprenticeships, and locally Cambridge Regional College is on the cusp of announcing its 5,000th apprentice, a massive increase over the last 5 years. We need to build on this, and provide more apprenticeships where they are needed – in particular in IT and science where there is a shortfall. We also need more opportunities for young people in education. I want sixth form colleges to be better supported so they don’t have to pay VAT, and I want more bursaries and better maintenance loans for students at university. Yes. We need far better representation in Parliament. It is far too pale, male and stale. I want more mentoring programmes targeted towards getting under-represented groups in politics. It is encouraging my party runs The Leadership Programme to get more PPCs from under-represented groups. We also need far better LGBT+ representation; LGBT+ issues don’t get anyway near the attention they deserve. There is also unacceptable sexist and immature behaviour in the House of Commons. This turns many women off entering politics. I have argued very strongly for a culture change and to do away with the utterly indefensible way many MPs behave. I would strongly encourage my constituents to vote for staying in. The EU is enormously beneficial to our country – it provides a platform for international co-operation and dialogue so that our country remains outward-looking. The EU is also enormously beneficial to our economy. The CBI estimates EU membership is worth £62-78bn to the UK. And according to the Treasury, the European Union is worth between 4-5% of UK annual output. But the EU is not perfect. We need to work to make it more democratic and transparent. The way to do that is by working with other countries, not by pulling back the drawbridge. I believe I am the best candidate for this constituency because I have a plan to tackle the issues that matter most. Our city is suffering from a transport and housing crisis. That is why I will break the deadlock on the A14, oversee the construction of a second railway station, oppose congestion charges and generate new public transport services. It is why as MP for Cambridge I will help develop thousands of new and affordable homes, new council houses and secure a cap on the private rental market. Cambridge has over 5,000 households in fuel poverty, so I will cap energy bills and ensure our hard earned money stays in our pocket. I will protect millions of extra pounds for our colleges that no other party has promised, and will campaign for Cambridge to be the first truly Living Wage city in the UK. The current Member of Parliament has worked hard to develop cycling infrastructure across the city, and I support many of the changes that have been made in this area. As MP for Cambridge I will continue to support cycling to make Cambridge the bike capital of the UK, get a grip on the new developments finally taking place around the rail station, and support further national legislation to increase provisions in safety laws and infrastructure projects, to enhance cycling in Cambridge and across the country. Unfettered, ideological austerity has failed ordinary people across the country and across Cambridge. The truth is that most people haven’t felt the benefits of economic growth and most feel like we’re still in recession. Of the millions of new apprenticeships, less than a third are at international standards. Of the millions of new jobs, nearly 80% are in industries paying less than the living wage. More people are on in-work benefits than ever before, on zero-hour contracts than ever before and using Food-banks more than ever before, including 5,000 people in Cambridge last year. In a world where work no longer pays, where wages no longer meet the cost of travel or heating your home, where tax revenues decline and only the wealthy profit, we must ask ourselves: who is benefitting from the politics of austerity? Certainly not ordinary people who are feeling it every day of their lives. The debate on immigration is very important, particularly for Cambridge. That is why it features so highly on my list of priorities to tackle after May. Our universities rely on international students for much of their money, our city receives hundreds of millions of pounds for research through the EU, and our scientists and businesses constantly tell me of the vital role that immigrants play in keeping the Cambridge economy ticking. But immigration clearly has its problems. A Labour Government will bring in new laws to strengthen the UK Border Agency, cap skilled workers and make the exploitation of immigrants a serious crime, to clamp down on the undercutting of wages and outlaw agencies who only recruit from abroad. Immigration is vital for Cambridge, but it must be controlled in a fair way that protects our university, protects our science base and crucially, protects our local workers too. Under the Lib Dem-Tory coalition, few cities have seen a squeeze in living standards like Cambridge. There are now 12,000 jobs in the city paying below the Living Wage, over 5,000 households in fuel poverty, average rent is nearly twice the national average, train fares have increased by over 20%, and our city is now the joint most-expensive place to study in the country. A Labour Government will raise the minimum wage to £8, incentivise the Living Wage, cap energy prices so they can only fall, cap rail fare increases and close Lib Dem-Tory loopholes for train operators, and impose new regulation on the rental market to secure longer term tenancies, predictable rent increases and a database of landlords to monitor commitments to tenants. We will help ordinary families and turn the economic tide in their favour, so that we can all benefit from a growing and prosperous city. Put simply, our NHS is in crisis. Including Cambridge which has one of the most technologically advanced hospitals, we’ve seen major incidents declared at A&Es across the country. Average waiting times are at their worst rate in a decade, cancer waiting times are increasing, adult social care has been slashed and the government’s top-down reorganisation has wasted billions. I will vote to abolish the government’s health and social care act which opened the NHS to sweeping privatisation, support a mansion tax on the wealthiest homes to employ 36,000 new nurses, midwives, doctors and care-workers, levy tobacco companies to fund new Cancer Care and reduce Cancer waiting times to 1 week, and cap the profits private companies can make off the back of the NHS. I want an NHS that prioritises public service, that gets the funds it needs, the staff it requires and the investment it deserves. Whilst recent headline progress is welcome, there are still nearly 800,000 people claiming Job Seekers Allowance and nearly 750,000 young people unemployed, a quarter of whom have been unemployed for more than a year – an unacceptable statistic by any measure of progress. These rates remain stubbornly high, which is why I support Labour’s proposal for a compulsory job guarantee with in-work training for all young and long term unemployed people without a job. But I believe the best way to tackle long term unemployment is to make work pay. We need to reverse the depression of wages, grow the living wage, end exploitative zero-hour contracts and raise the minimum wage to £8. Creating fresh avenues into work must be coupled by a commitment to increasing the value of work itself. Our labour market needs this change of direction, and for that, we need a Labour Government. Parliament is meant to represent the people and clearly there is more to be done to ensure we have a better, more reflective body of MPs in the House of Commons, but there are things we can do. The Labour Party is the only party directly addressing this problem, offering all-women shortlists across the country, the largest number of LGBT candidates of any political party, and has some of the brightest young candidates in recent political history. I have also championed and lead a national campaign for an elected House of Lords – I believe this will open up fresh opportunities to increase the representation of all groups across the UK. I think we should do more to promote and engage people with politics and support Labour’s pledge to lower the voting age to 16, and get more people involved in the political system. 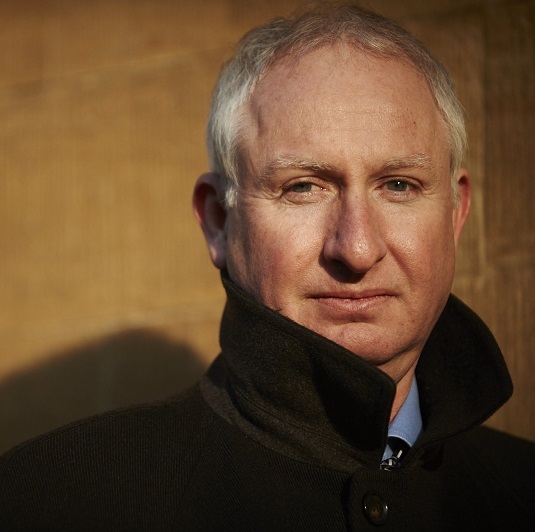 An EU referendum would pose enormous dangers to Cambridge. I urge voters to support our continued membership of a reformed EU, with Britain at its heart, maintaining its place on the world stage and providing stability to businesses across the country. Cambridge University brings in over 12% of its research budget from Europe and receives hundreds of millions in funds from its programmes. Our vital, booming Science sector depends on our continued integration with the European market. Clearly we need tighter controls on immigration, a cap on certain types of economic migrants and stronger punishments for firms who breach the rules and bring down wages. But the best way to fix our economy is not to close ourselves off from the world, but to be the best amongst competitors, increase the diversity of education, lower the skills gap and keep our doors open to those who benefit our economy.